Paired with our 14cm Saucepan or Saucier, this seamlessly fitted lid is as superbly crafted as each and every piece of our cookware. Ergonomic cast iron handle makes lifting easy, while the satinated surface is easy to clean. 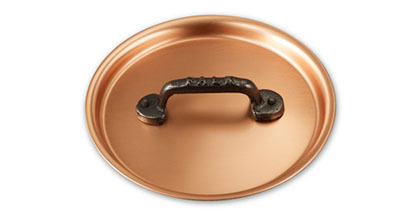 Fits snugly and securely on our 14cm Saucepan. I bought this lid alongside the 14cm saucepan and have been using it since day one. 581 customers found this review helpful. Did you? Yes, I did! 708 customers found this review helpful. Did you? Yes, I did!